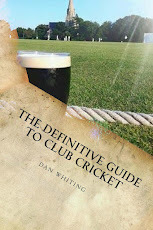 Cricket has always been a game where those not of a successful nature, have a lot of time on their hands. Me...I'm like a rolex! 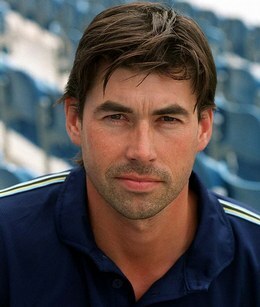 However, temptation has got the better of one or two of our players over the years, although I think educational work by people like the PCA and the fact that more money has come into the county game, meaning that people have more to lose, has helped bring down the numbers of people caught. With drugs there are two ways of looking at it. Those who take performance enhancing ones, and those taken of a recreational variety. Shane Warne was the most high profile name caught with performance enhancing drugs, when he was caught with a diuretic which he said was for short term weight loss. A diuretic is used to mask the traces of other drugs in the system, and the fact his defence was that his mum gave them him was laughable. Saying that, since he has met Liz Hurley he looks like he has shrunk in the wash, so Liz must put double dosage into his bedtime cocoa! Warne received a paltry ban, as did another Aussie by the name of Graeme Rummans, who was caught with probenecid. He received a mere one month ban, whilst those of caught with drugs of a recreational nature have been hammered. Why is this and why hasn't cricket been supportive? Cheating to gain an advantage is one thing, but crossing the white line after a night on the white line seems to make the authorities clamp down even harder. I remember back in the mid nineties and two sportsmen were caught for cocaine. 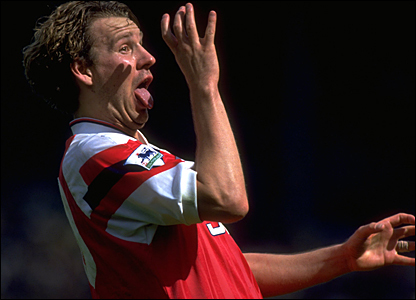 Paul Merson the footballer was supported by his club, and sent off to rehab where he sorted himself out and came back a few months later as a hero. Ed Giddins was sacked by Sussex, given a nineteen month ban, and ended up selling Christmas trees on the streets of London. Thanks cricket! Cricket and drug taking are old news. I'm sure the gentry amongst the Victorians would have a puff on an opium pipe before smashing the villagers all around the ground. The West Indian wicket keeper David Murray, apparently had been smoking weed since a young lad and was almost dependant on it. He came within the width of a rizla paper of being kicked off the tour to Australia in 75/76 before the sympathetic Lance Gibbs stepped in. Although the better keeper, he played second fiddle to his namesake Deryck after that, before Jeff Dujon came along. Saying that, if I kept to the West Indian quicks at the time, it wouldn't have just been my fingers making the sound crack! In the eighties, Ian Botham admitted to practising the art of Jamaican origami and was banned for a while, whilst the nineties were rife with people being caught. Domestically, at one point all seemed to have a Warwickshire connection with Giddins, Graeme Wagg, Dermot Reeve, Paul Smith and Keith Piper all receiving bans for various misdemeanours. I'm not saying that the streets of our second city were awash with marching powder, or that Birmingham and Bogota were twinned, but a strange coincidence none the less. A tour to the West Indies always brings a few stories out whatever they may be, and the South Africans, including high profile names such as Herschelle Gibbs, Paul Adams, Andre Nel and their physio were caught having a puff of the old Moroccan Marlboros in 2001. As were a few of the Pakistanis, including Mushtaq Ahmed, Wasim Akram and Waqar Younis. Pakistani cricketers being non drinkers have to get their stresses out somewhere! New Zealanders have often come with a reputation and Stephen Fleming, Matt Hart and Dion Nash were also caught on a trip to the Caribbean indulging in the local flora. Not being one to generalise, I remember a quote given to me by a gentleman of a neighbouring side in North London. "When you get an overseas player, you can tell what you're getting. Get an Aussie, he just wants to go on the piss. A Kiwi just wants to smoke puff, and a West Indian...all they want is the local fanny". I don't think you can compartmentalise people like that, but there was a degree of truth to what he had told me. Anyway, the long and short of it, is that these guys should be supported, rehabilitated and given the chance to get back in the same way that Merson was. What they have done is less of a crime than someone taking a drug to cheat. My final word on the subject is of watching the current Olympics and my mind casts me back to 1984 and watching the brilliant Carl Lewis. I'm sure there was another budding teenage sportsman watching that, who shared the surname Lewis and no doubt wanted to emulate him. Chris is currently sitting in a prison cell for smuggling liquid cocaine.